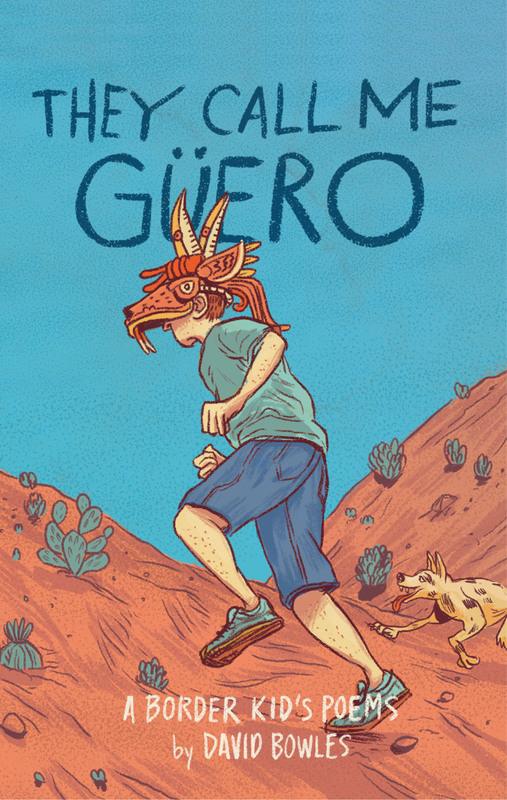 Say hola to my middle-grade poetry book They Call Me Güero: A Border Kid’s Poems, featuring the amazing art and lettering of Zeke Peña, the 2018 Boston Globe–Horn Book Non-fiction Winner for Photographic: The Life of Graciela Iturbide (along with author Isabel Quintero). Tomorrow I’ll reveal the wrap-around. Big shout-out to Cinco Puntos Press! Book description: Twelve-year-old Güero is Mexican American, at home with Spanish or English and on both sides of the river. He’s starting 7th grade with a woke English teacher who knows how to make poetry cool. But trusting in his family’s traditions, his trusty accordion and his bookworm squad, he faces seventh grade with book smarts and a big heart. Life is tough for a border kid, but Güero has figured out how to cope.